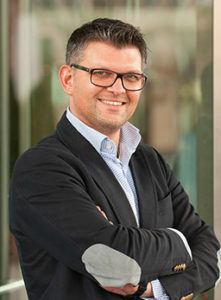 The founder and CEO is Tjorven Jorzik. After completion of his university studies on Business Administration he started building expertise in the fields of marketing and trade working for international pharma and consumer goods companies. Before founding HENRY Tjorven Jorzik held the position of Director Global Sales managing the global business development of Baby Food at Danone. His affinity for wine and its marketing potential lead him to tackling the formative sommelier training at the “Deutsche Wein- & Sommelierschule” in Koblenz. The foundation of HENRY in 2011 was preceded by discussions with producers and the suffered experiences from his own wine purchases in stores. Even with grounded knowledge of the product, it was difficult to find the right wine! Together with the Bundesland Rheinland-Pfalz, the “Deutsche Wein- und Sommelierschule” and the SGS Institute Fresenius as well as the Colleges Geisenheim and Heilbronn Tjorven has put together a network of partnerships that drive HENRY’s excellency day by day. Marting Darting is a winemaker and wine and senses expert. Synaesthete, book author and sommelier instructor alike. 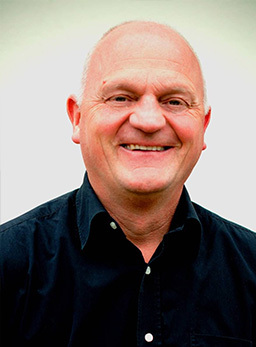 He is a lecturer in senses with main emphasis on food-testing, sensorial analysis, food-pairing and communication. The PAR-System (Product Analysis Ranking) was developed by himself and is now an international standard for tasting procedures. Our ultimate goal and main corner stone of HENRY’s DNA is the increase of customer satisfaction. We have developed HENRY together with scientific experts initially driven by our fascination for wine and a growing fragmentation of the taste reliant product landscape. Through our services we enable our customers to market products with accurate and satisfying recommendation results. HENRY’s key to success is the content-based scientific analysis or sensory executed by industry experts in combination with our process management and technical know-how. Marketing products with high reliance on taste is becoming increasingly difficult and simply comparing cohorts data is not a valid nor sustainable solution. We have recognized the value of sensorial analysis and integrated it into our recommendation engine HENRY, the worlds first reliable taste expert. Starting as a digital sommelier, HENRY has grown into a vertically scalable recommendation algorithm, with the ability of featuring products fitting to any occasion, feeling and a consumer’s personal preference.